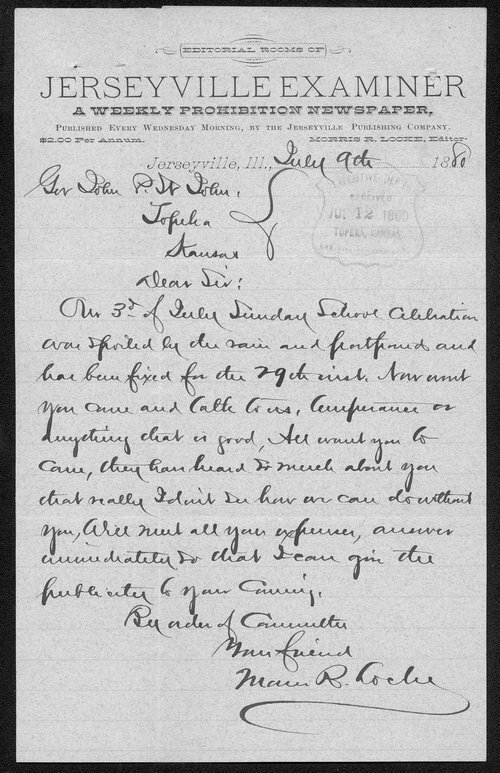 In this letter, Morris Locke of Jerseyville, Illinois, comments to Kansas Governor St. John, that their celebration for July 3rd was spoiled by rain and rescheduled on July 29th. He urges the Governor to come speak, stating "I don't see how we can do without you." Locke was the editor of the Jerseyville Examiner, a weekly prohibition newspaper.